One of the most famous Hotel Esplanade Prague of twenties has a unique historical atmosphere balanced with modern comfort. 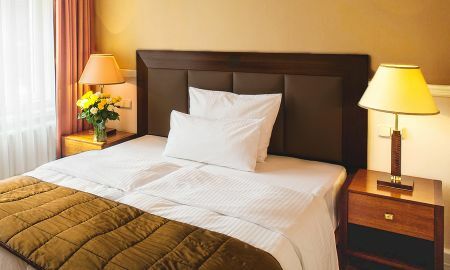 The luxury Hotel Esplanade Prague, is located between Wenceslas Square, Prague Main Railway Station and just few steps to Prague State Opera. 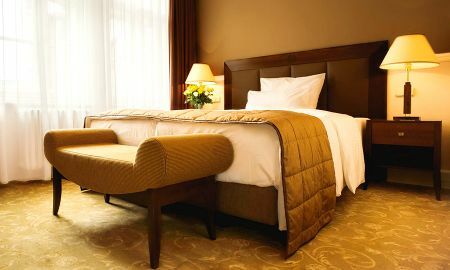 This luxury Hotel Esplanade Prague is ready to welcome you us prefered. Built in 1927 this hotel is a legendary place capturing the essence of that time in Old Prague. Prague, one of Europe's most gorgeous cities, reflects the beauty of its historical past and today's fast-forward pulse. Nowadays, Prague is the centre of business and culture with its monumental architecture like Charles Bridge, Old Town Square, Prague Castle, Prague Loreta, Prague's astronomical clock, Golden gate, Parizska street and many best fine Prague dining, bustling streets and cultural potentials for example in Prague State Opera House or Prague National Theatre. Hotel Esplanade Prague is ready to welcome you. Thanks to its great location you can easily enjoy romantic walks through the historical parts of Prague as well enjoy the shopping in the main shopping streets or romantically stray in the cobble parths of the historic centre of Prague.